Google Cloud offers innovation and infinite scalability but integrating it with your existing cloud and on-premises applications and databases can be challenging. To maximize the value of BigQuery, Apigee and other Google Cloud services, you need comprehensive and best of breed data and application integration capabilities. ESBs, Simple ETL or hand-coded scripts cost too much, take too long, and lack enterprise management and governance needed today. 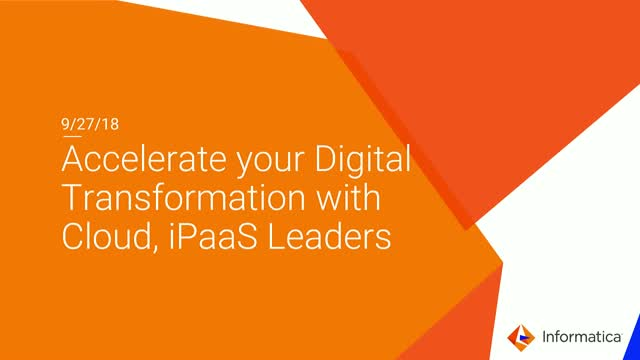 Accelerate the benefits of Google Cloud with Informatica. Abstract multi-cloud complexity with powerful, GUI-driven tools to seamlessly integrate Google Cloud with the rest of your data landscape. Informatica’s market leading solutions for cloud application and data integration and pervasive, high performance connectivity will take your application development and cloud analytics with Google Cloud to the next level.